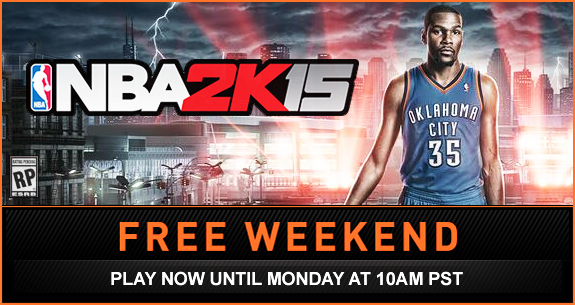 If you’ve never played an NBA 2K title or simply haven’t played the latest installment, you can do so now for free. 2K Sports has announced that basketball sim NBA 2K15 will be free to play to celebrate this year’s 2014-2015 NBA season kickoff. The game is available on Steam as a full game trial starting today through Monday, November 3, at 10 AM Pacific Standard Time. Additional Notes: Initial installation requires one-time internet connection for Steam authentication; software installations required (included with the game) include DirectX and Visual C++ Redistributable 2010. For the first time, NBA 2K15 on PC features the same next gen experience that gamers can expect on Xbox One and PlayStation 4. For more information, visit the official NBA 2K15 page on Steam.